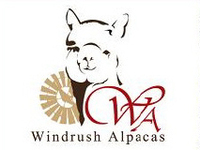 Are you looking to purchase some wonderful alpaca products? You've come to the right place! For your convenience, you can shop online anytime! If you'd like to shop in person, our Farm Store is open during our monthly Open Farm Day Events. Alpaca was once known as the Fiber of the Gods and was reserved for Incan Royalty. It has a luxurious softness similar to cashmere yet is warmer than wool and lighter in weight. It is naturally lanolin free and does not have the prickle factor of wool -- which means that most people can wear it next to their skin without irritation. Alpaca is naturally stain and odor resistant making it a fiber that needs little or no cleaning. A simple airing out is all most alpaca products need. If you're not able to visit our Farm Store in Clovis, NM in person, you can visit our online store by clicking here. Shop from the comfort of your own home and browse our selection of items that suit all pocketbooks. We believe everyone should be able to have a little alpaca in their life!